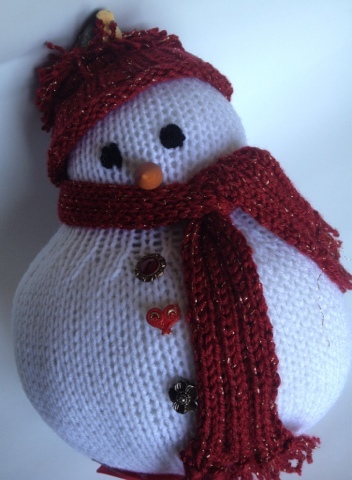 I received this adorable knitted snowman as my gift in the Craftaholics Hand Made Gift Exchange. Virginia did a wonderful job with such detail. There is a little bird attached to the top that the photo doesn’t show well. The carrot nose is dimensional and I love the buttons down the front. I will proudly use this cutie during the holidays!